This quick and easy spray is applied directly to the hair and brushed out to restore body and bounce, delivering clean, shiny hair. It is hypoallergenic, safe for sensitive scalps, smells fresh and won't leave any sticky residue. Klorane's Dry Shampoo contains high quality ingredients to produce salon perfect results. 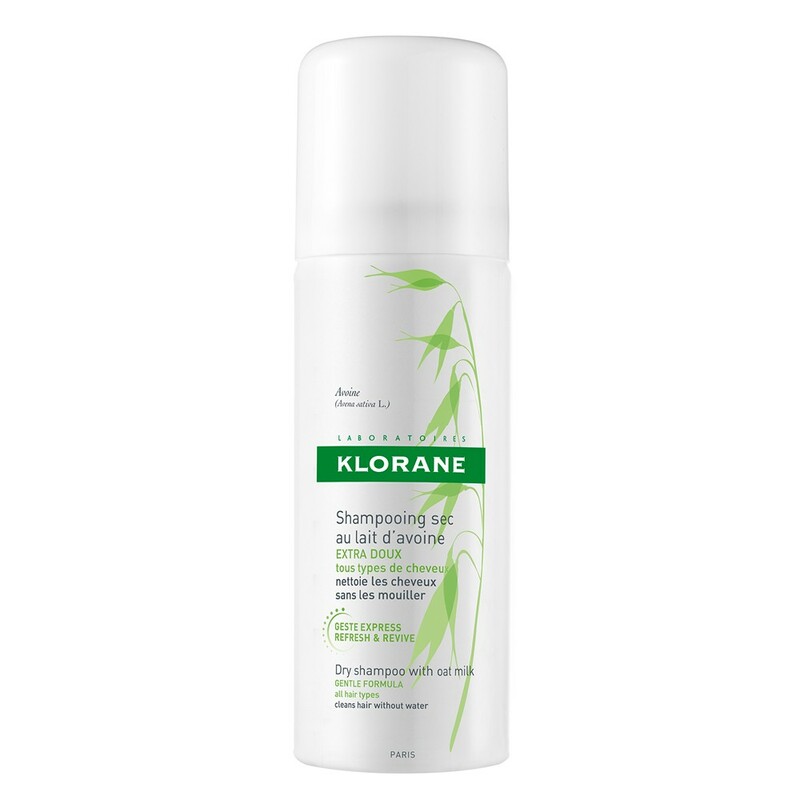 Klorane Dry Shampoo can be used to clean your hair, pump up the volume of fine hair, extend the time of your styling as it prevents humidity spoiling your blow dry or heat ironed style and is great for anytime you cannot get to wet shampoo your hair, e.g. when travelling. For best results spray on the roots of the hair, massage a little, wait 2 minutes and then brush out for lovely fresh, clean hair. Butane, Propane, Isobutane, Oryza Sativa (rice) Starch, SD Alcohol 39-C (alcohol denat), Aluminium Starch Octenylsuccinate, Avena Sativa (Oat) Kernal Oil, Cyclodextrin, Cyclomethicone, Fragrance (Parfum), Isopropyl Myristate, Silica. Pressured container, protect from sunlight and do not expose to temperatures exceeding 50 degrees C.
Took away excess oil but left my hair feeling really dry and cakey. It was also quite hard to sort of massage into my hair and left white residue. Overall disliked the way it made my hair look and feel. Would definitely not repurchase. Good for a quick fix! Decided to give dry shampoo a try as I needed a quick fix and this worked very well. After one use though, you must wash your hair, otherwise, your hair would feel quite dry and yucky.